The love of good food knows no bounds and as I start this gastronomical journey I am going to share a few recipes and few tips that I have picked up in the last few years and those of you who are constantly in the mood of cooking can join me. 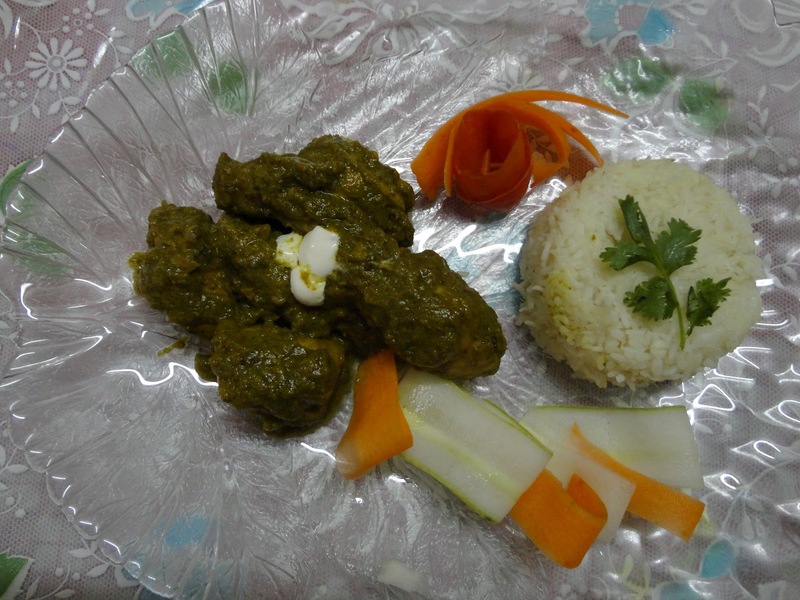 The first recipe that Iam sharing today is Green Chicken or Chicken in spinach Gravy. 1. Wash and blanch spinach leaves for 2 mins and then grind them to fine paste with the garlic and coriander leaves. 2. Make a paste of tomato and onion. Marinate the chicken for ½ n hr with this tomato onion paste and turmeric pdr and salt. 3. Heat oil in a pan and add the roasted cumin. When the cumin starts crackling add the marinated chicken and sauté for sometime. 4. Add the red chilli pdr, coriander pdr , ginger paste to the chicken and continue frying till the oil separates from the sides. Now add the spinach paste and fry for another 5 to 8 mins on low flame. Now add water and cook till the chicken becomes tender. 5. Add fresh cream before taking the chicken off the heat and mix well. This dish goes very well with steamed rice.